Mob Violence with your Host, Bob Violence! 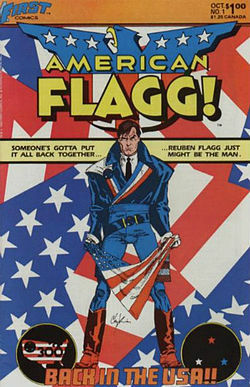 Back in the 1980s there was a fascinating comic book called American Flagg (written and drawn by Howard Chaykin). The hero was Reuben Flagg, a former movie star who lost his job when the studio copyrighted his image and could generate it by machine, so they didn’t need him to make new films starring “him.” A lot cheaper that way. You see, this was set in, I think, 2075, coming up on the Tricentennial. The rich had relocated to a terraformed Mars. While they were sitting pretty on the Red Planet, back on earth things were going to hell. Reuben Flagg got a job with the Plexus Rangers as a glorified mall cop. The Plex Malls were the weekly target of hordes of looters. And the ensuing mayhem was the subject of a weekly TV show called Mob Violence, hosted by a guy calling himself Bob Violence. I couldn’t help thinking of this last week as I watched, in disgust, the Ferguson riots. I looked at the calendar and was surprised to see it was only 2014, a good sixty years ahead of schedule. But the entertainment value of the riots was not the only thing that disturbed me about the fiasco. There are some important implications that I have not yet heard addressed. For one thing, there is the fortress mentality of the rioters and demonstrators—if there’s any difference in this case. I have no trouble recognizing the True Believer, whether religious or political. In fact, any difference is moot, since this “Don’t confuse me with the facts” attitude makes politics into religion. I believe that liberal Progressivism is essentially a religion. It presupposes an intentional obliviousness to the facts of experience, a faith that an improbable agenda and a Utopian vision that has failed many times before will prevail this time if we close our eyes and believe hard enough. That’s just like Pentecostal faith healing. That’s political snake-handling, though more people are likely to die. The evidence showed that the police officer had not murdered Michael Brown, but did the rioters care? The evidence indicated strongly that the late Mr. Brown was a predatory thug. But the rioters/demonstrators canonized the “Gentle Giant” as a saint, one might say a Trayvon Martyr. At least one hopes they were making the Brown of history into the St. Michael of faith, because if they were, that means they understood that an acknowledged thug would make an implausible martyr. But it might be worse still. I suspect that the rioters knew full well that he was a thug and a thief—and meant to celebrate it! His robberies and his attempt to wrest the policeman’s gun from him were the miracles required for sainthood. Ethics matter not. Crime? No problem! He was black, and that was the only real virtue, and quite sufficient. Policeman Darren Wilson’s crime was simply to have killed a black man. Of course, had the policeman been black, too, we’d have heard nothing about it. That’s why we hear so very little about black-on-black crime in the inner cities. For you see, even to suggest, as Daniel Moynihan once did, that there is a problem in the black community is considered racist. It’s not Whitey’s business, even as males are supposed to have no right to criticize or to oppose abortion. The ad hominem fallacy has become policy where Identity Politics holds sway. And if black Americans dare speak out against black-on-black violence, they are considered “Uncle Toms.” They are, like any African American who dares to succeed in mainstream American schools or business, “acting White.” No, we are to understand, it is black to fail, or not to try to succeed, because the preferred dogma is that the System excludes blacks and that the System rewards blacks with success only if they will betray their own people by making it look like the System is not biased against blacks. Don’t you see what is really at work in the Grand Jury aftermath? Rioters/demonstrators reject the Grand Jury finding that no reason exists to show Officer Wilson acted improperly. No, it had to have been a kangaroo court, because it did not yield the verdict the mob desired. Wilson had to be made a scapegoat for the Obama-Holder-Sharpton agenda. Look at the big picture: the direction this is taking is to render it impossible for any blacks ever to be convicted, since blacks will never accept any verdict as anything but a case of racism, of persecution of black Americans. The jury system becomes moot if it does not exonerate blacks (they can’t be guilty, since they possess the only real virtue: being black) or condemn whites (especially cops), no matter the circumstances, who kill blacks. This radical ideology ignores the grief and anger of blacks whose sons and siblings are destroyed by black violence, whose businesses are burnt by black rioters. It is not all or even most black Americans who promote this race war agenda. No, it is the work of outsiders and professional agitators, opponents of the American system who are igniting and fanning the flames of every Ferguson. Some are black, true, but many are white Anarchists, Communists, Alinskyites, etc., who are scapegoating blacks, seeking to goad White America to blame their black fellow Americans and thus to create hatred where it had not existed for decades. What these America-hating vermin are doing is exactly like the strategy of Charles Manson. 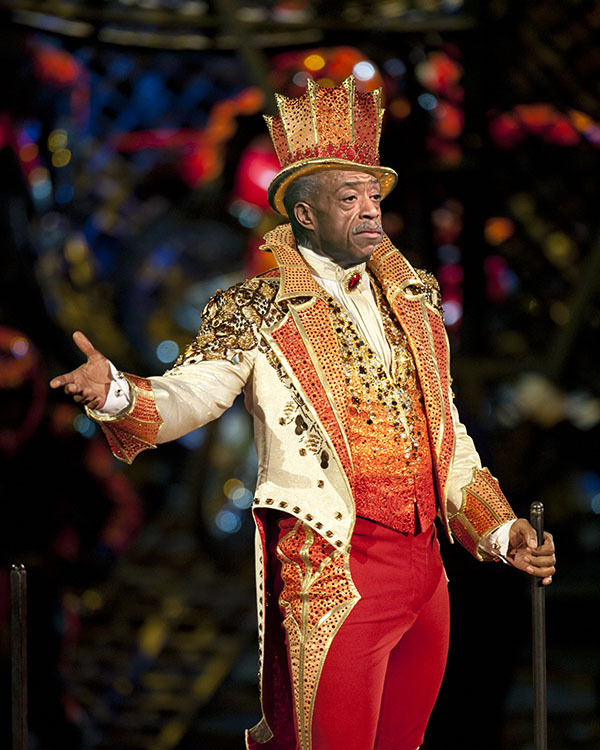 Al Sharpton, Charles Manson: 666 of one, half a dozen of the other. You’ll recall that Charlie did not send his disciples on murder sprees just for the hell of it, as in the movies The Devil’s Rejects and The Strangers. 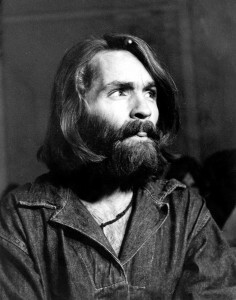 No, Manson, a white racist, was trying to pin the blame for the Tate-La Bianca murders on blacks, hoping to incite a devastating race war that would bring down the hated American system, leaving him in charge. Yes, it was a crazy scheme, but so is that of those race-baiters who set Ferguson on fire. This entry was posted in Crime, Politics, Racism. Bookmark the permalink. 5 Responses to Mob Violence with your Host, Bob Violence! You just put a capital letter on racism, I guess you don’t believe the Supreme Court comment about the misuse of the way the Grand Jury handled this case? None other than the KKK! Enough said, your mind is already made up. I’m not quite sure what clipper987 meant because it was written with incomplete sentences and poor grammar, however I think he inferred you are a racist. It’s so ironic that he proved the point of your essay and yet appears oblivious of that fact. The older I get, the more amazed I become with human behavior. Justice Scalia Explains What Was Wrong With The Ferguson Grand Jury, sorry about my grammar, I think one should be more interested in JUSTICE! Which is not the case here. Pure projection in my opinion and inclusive of the kind of nonsense that turned me away from the so-called Conservative mentality, not that I consider myself a Liberal by any stretch of the imagination. This essay as well as the one titled “Crime as Punishment” insinuate that the progressive view is marred by faith as defined by assumptions based on beliefs and not evidence. I suggest that shoe fits the other foot just as well if not more precisely. Mr. Price, your right wing opinions suggest to me an upbringing in a comfortable, middle class environment and I suspect you’ve never had the occasion to experience police brutality or the effects of poverty. I suppose that if you had, I could note more compassion in your views which the lack of, is another indicator of your bias. Your “black on black” violence rationalization is also typical of a narrow viewpoint based on racist stereotypes. Clearly, it’s a class that is set against itself, not a race. You don’t find the purported “black on black” violence in middle class, mixed race neighborhoods. In the case of the Ferguson shooting, there was apparently more than enough evidence to suggest at least a reasonable suspicion that the police officer acted incorrectly and therefore warranted further consideration in the form of a hearing. This would not have been a violation of anyone’s rights. I know from personal experience that law enforcement gets a pass for special pleading and is supported by the ability to twist the facts. I think you’re missing some key points in your opinions. In the Brown case, the public outcry stems from the use of excessive force. An unarmed man was shot, several times, with a Coup de grace to the forehead at close range after the man was already on his knees (according to several eye witnesses and forensic evidence). Eric Garner was victimized by police brutality for the crime of selling cigarettes individually. In that case there was video and no one was indicted except the man taking the video! Evidently, the prosecuting attorneys in this country are manipulating the grand jury system for political purposes. Should wrong doers be held responsible for their behavior and punished? Yes indeed however, the punishment should not be dealt more severely than say, a corporate thief that steals millions and is treated with kit gloves. You can’t have it both ways. Either you’re for justice applied fairly or you’re not. The problem with the Right is that they tend to look the other way when one of their oxes is gored, not that the Left is that much different I’ll admit but, in a less harmful way. My dear professor, I suspect you’re watching too much of the Fox News channel. Your perspective is a bit clouded by mis-information.